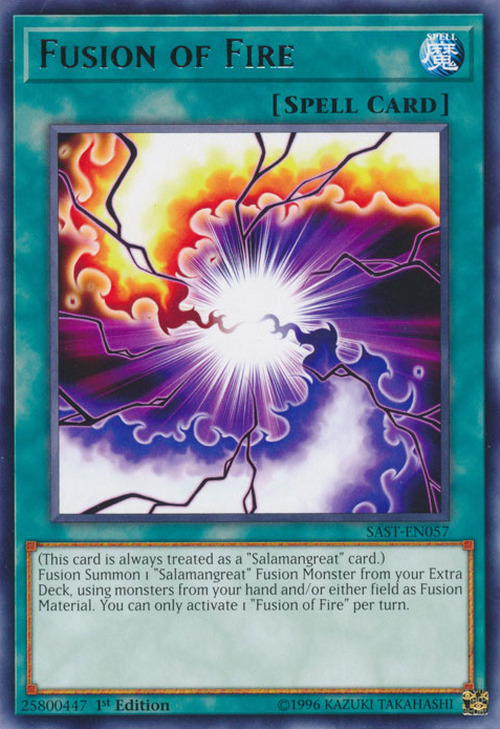 Fusion Summon 1 “Salamangreat” Fusion Monster from your Extra Deck, using monsters from your hand and/or either field as Fusion Material. You can only activate 1 "Fusion of Fire" per turn. This card is similar to Super Polymerization where it can Fusion Summon 1 Fusion Monster using monsters from either side of the field.